The Kenya Rugby Union has released a squad that will attend trials for the 2018 internationals. New head coach Ian Snook will conduct the trials set for Sunday April 29, 2018 at RFUEA grounds from 2.30pm. "The trial will consist of 4 x 30 minute quarters with the majority of players playing for a maximum of 60 minutes," said a statement from KRU. 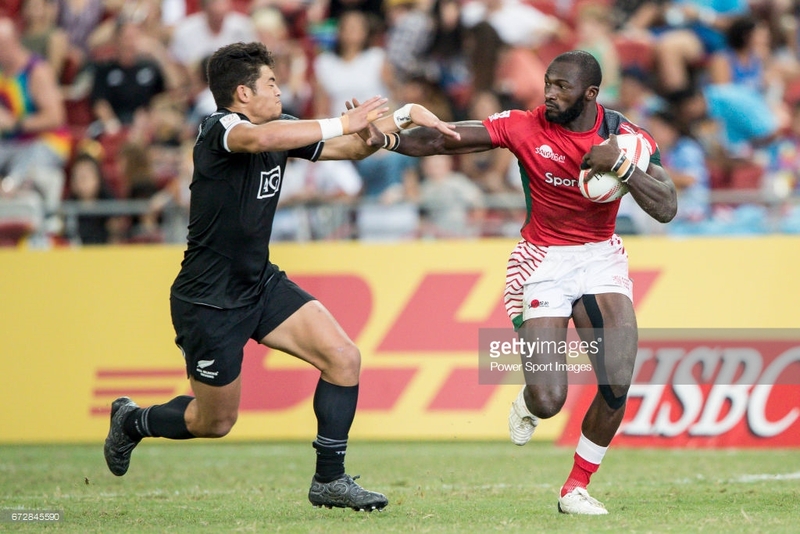 Kenya Sevens international Dennis Ombachi is among those named for trials. He has missed action since December 2017 after suffering an injury in Dubai Sevens. Homeboyz coach Paul Murunga and his KCB counterpart Curtis Olago will take charge of team one as Impala Saracens coach Frank Ndong and Charles Cardovillis of Kabras takes charge of team 2. Among those named in team include Israel Soi of Homeboyz, Kisii's Aggrey Kitoi, Edmund Anya and Philip Kwame. Team two has Michael Kimwele who turns out for KCB II, Mean Machine's Melvin Thairu, Thomas Okidia, Francis Mutuku and Kenya U20 scrum-half Xavier Kipngetich. Halfbacks in the two teams are KCB's Mike Wanjala, Homeboyz's Moha Omolo, Biko Adema of Nondies, Blak Blad's Levi Amunga, Quins' Isaac Adimo, Samson Onsomu and Kipngetich both of Impala Saracens. "National Coaches Ian Snook and Murray Roulston will be looking for players who demonstrate a consistent high work rate, make good decisions and strong shoulder dominant tackles. As well they must demonstrate an awareness of team play as against individualism," added KRU. The following Sunday on May 6th there will be a final trial after which the squad will be finalised for the Elgon Cup and World Cup qualifiers. Oscar Simiyu, Moses Amusala, Joshua Matasi, Coleman Were, Frank Khalwale, Dennis Karani, James Wanjala, Isaiah Nyariki, Wilson Kopondo, Oliver Mangeni, Philip Kwame, George Nyambua, Peter Waitere, Davis Chenge, Steven Otieno, Mike Wanjala, Mohammed Omollo, Biko Adema, Levi Amunga, Isaac Adimo, Felix Ayange, Brad Owako, Max Kang’eri, Johnstone Mungau, Israel Soi, Dennis Muhanji, Aggrey Kitoi, Vincent Mose, Edmund Anya. Thomas Okidia, Joseph Odero, Philip Ikambili, George Asin, Francis Mutuku, Patrick Ouko, Nelson Nyandat, Melvin Thairu, Eric Kerre, Malcolm Onsando, Andrew Chogo, Elkeans Musonye, Levi Ochieng, Peter Misango, Peter Karia, Martin Owila, Gabriel Adero, Samson Onsomu, Xavier Kipngetich, Michael Kimwele, Nato Simiyu, Henry Ayah, Jacob Ojee, Nick Barasa, Leo Seje Owade, Peter Kilonzo, David Ambunya, Tony Onyango, Dennis Ombachi, Darwin Mukidza, Michael Wanjala.